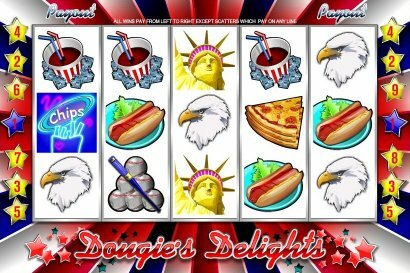 Overview: Dougie's Delights goes all-American and we are sure you are going to enjoy not only the proud icons, but also the great payouts in this 9 Lines slot game. Line up 3 or more Footballs and earn up to 500 coins; enjoy 7 spins for every 5 scatter cash rolls! Now if all this wasn't enough: 5 Wild Flag combinations award the Jackpot, and who doesn't want to win that big? 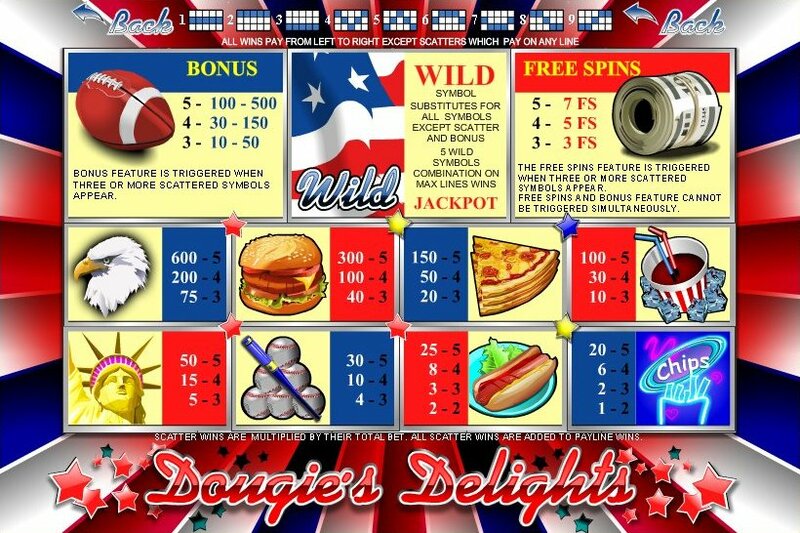 Similar Slots: If you like Dougie's Delights, you might like these other slot machines from Top Game: Fantacy Nuts, Lost Inca's Gold, Mad Orchestra, Slotstructor, Treasures of Pharaohs (15 lines).